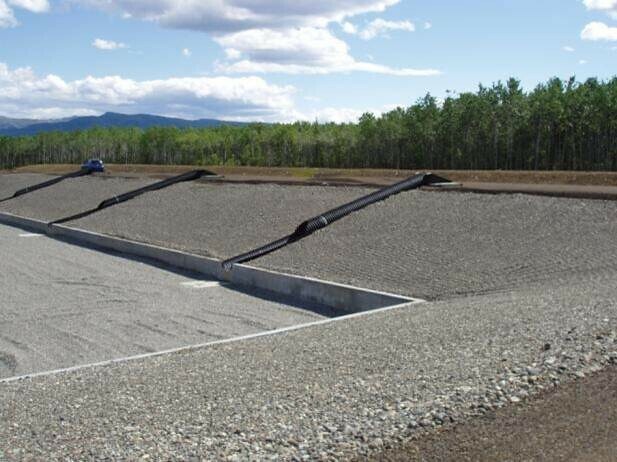 This project, sponsored by the Alaska Department of Environmental Conservation’s Village Safe Water program, is providing 1) a new regional septage facility, operated by the City of Anderson, to serve the Denali Borough and the City of Nenana and 2) a wastewater collection system and community lagoon for the City of Anderson. PDC updated a previous feasibility study, identified and evaluated site alternatives for the septage facility and wastewater lagoon, and designed the piped sewer and lagoon facilities. 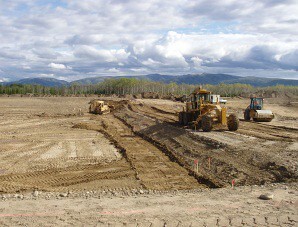 Construction of the regional septage disposal facility was completed in 2007. This facility has two primary cells for receiving and dewatering the sludge in preparation for freeze/thaw conditioning. A facultative cell treats the liquid from the primary cells before it is discharged to a percolation cell. The conditioned sludge is transferred to an on-site monofill. 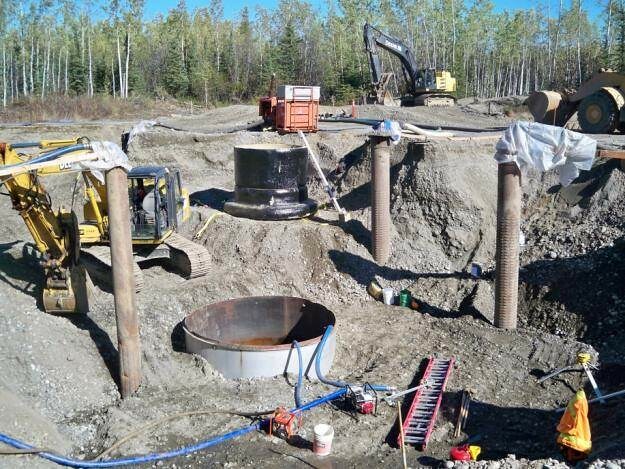 The community wastewater lagoon will be a two-cell facultative lagoon, located in the floodplain of the Nenana River, that will discharge continuously into a percolation cell. The selected site balances the community’s desire to maximize the distance from adjacent houses with the need to minimize the expense of construction on slightly less desirable ground. 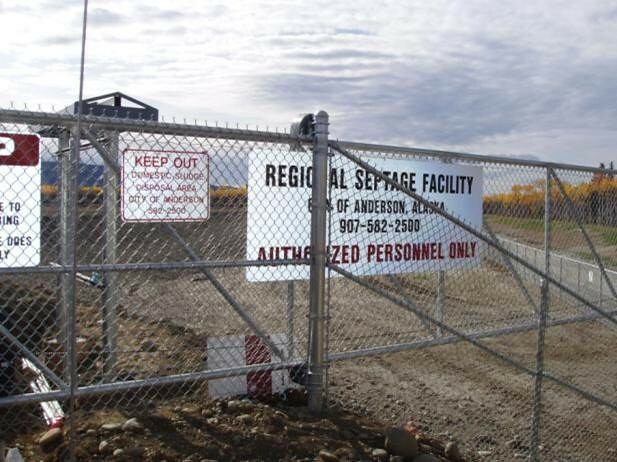 The piped sewer system, which will serve all of Anderson, will replace septic tank and leach field systems that threaten the water quality of shallow private wells nearby. 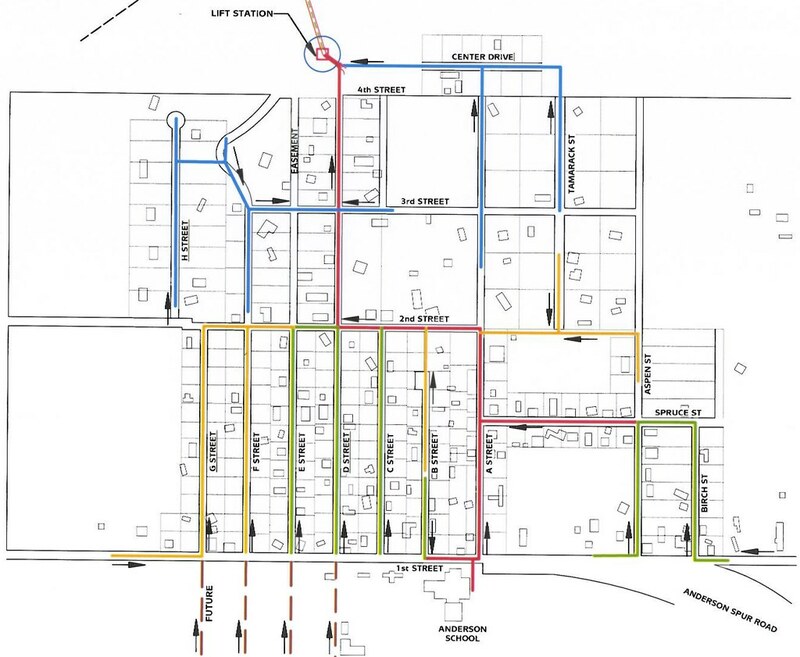 The collection system will include 23,400 lineal feet of 8-inch ductile iron pipe (DIP) gravity sewer main, 86 manholes, and 4-inch service connections at each house. At the lower end of the collection system, 1,900 lineal feet of 6-inch high-density polyethylene (HDPE) force main will connect the sewer lines to the lagoon.